Briefing Papers Educational Event, 18th May in Wallasey on the Wirral. 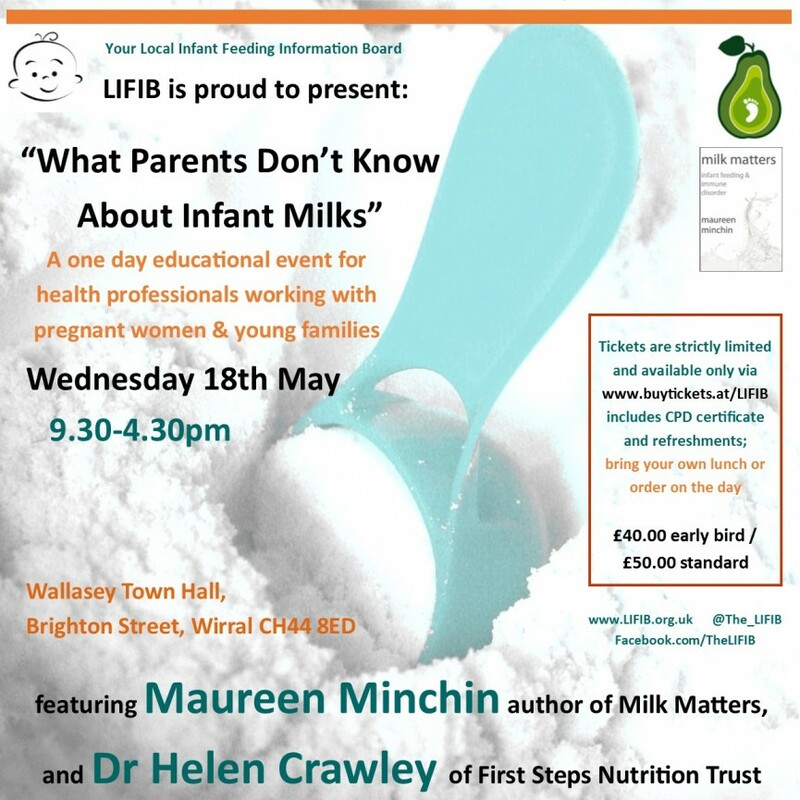 Educational Event, 18th May in Wallasey on the Wirral. 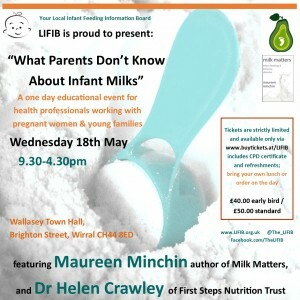 Proudly announcing LIFIB’s first 2016/2017 educational event, 9.30pm-4.30pm on the 18th May, featuring Maureen Minchin, Australian author of the highly acclaimed ‘Milk Matters’ published last year, and Dr Helen Crawley of First Steps Nutrition Trust. This promises to be an event not to be missed: suitable for frontline staff such as paediatricians, GPs, paediatric nurses, breastfeeding peer supporters, neonatal staff, health visitors, dieticians, midwives and children’s centre outreach workers, as well as IBCLC Lactation Consultants. Also suitable for CCG and public health staff and commissioners, to gain deeper insight and understanding into the issues in infant feeding commissioning. The first 30 tickets are at the reduced ‘early bird’ price of £40; the standard price is £50, to include refreshments and a CPD certificate: attendees are requested to bring their own lunches or order locally on the day, to keep costs down. As ever if you have any questions you can direct them to our Facebook page or email contact.